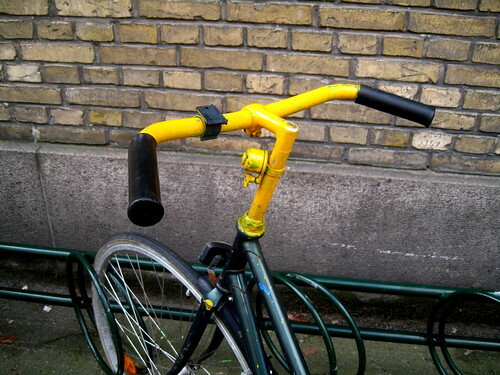 Sometimes, for reasons known only to yourself, you suddenly feel the urge to paint your handlebars and rod... yellow. See how Copenhageners personalise their bicycles over at Cycle Chic. tags: "personalise your bike", "yellow bike"